Today marked the end of the first Edinburgh Restaurant Festival. The past few weeks saw restaurants across the city host special events, special offers and more. Before moving back to Glasgow, it seemed only right for me to discover more of the Edinbugh food scene, and the Restaurant Festival was the perfect platform. The festival began on the 9th of October with the Chef’s Table; a special event which brought four of Edinburgh’s top chefs together. Mark Greenaway, Craig Sandle, Stuart Ralston and Paul Wedgewood created a tasting menu for guests at the Ghillie Dhu, which came to the hefty price of £100 per person. As much as I would have loved to attend, it was a little out of my price range. What I did do however, was take advantage of some of the amazing offers available throughout the festival. My first purchase was a ticket for “Eat, Walk Edinburgh” – a walking tour of foodie spots around the New and Old Town. The company was offering a £10 discount for locals during the festival, so I jumped at the chance. The tour guide met us at the Hotel du Vin where we had our starter – traditional fillet of Herring in Scottish Oats. We were then given a brief tour and history of the hotel as it used to be Edinburgh’s own Bedlam! We visited a number of spots across the New and Old Town, from Demijohns to Calistoga – a Californian restaurant where we tasted red wine and pork belly. We wandered the streets of the old town and were given traditional Haggis, Neeps and Tatties accompanied by a dram of cask-strength whisky at the Scotch Malt Whisky Society and a board of cheese and charcuterie at La P’tite Folie. Our tour ended with the traditional Scottish dessert, Cranachan, at the gorgeous Ghillie Dhu pub in the West End of Princes Street. We were lucky to get a gorgeous, sunny day for walking around and a brilliant guide who taught me some great facts about the city I grew up in and took me to foodie spots I never even knew existed. I felt really inspired and proud of Edinburgh after the tour, having learnt so much about it’s torrid and somewhat unpleasant history over a period of five hours. Learning more than I ever knew about the Burke and Hare story was fascinating, and really seeing Edinburgh for how beautifully aged and magnificent it still is. The tour is definitely worth trying not just for the food, but for the entire experience. A few days later I dragged my mum into town to take advantage of another Restaurant Festival offer. This time, it was to sample the Menu du Jour at The Dining Room – the fine dining restaurant attached to the Scotch Malt Whisky Society. The restaurant was offering their menu at the reduced price of £18.95 for three courses, which is a pretty good deal considering the standard of food on offer. Both myself and my mum ordered the Pigeon starter followed by the Pork main. I personally was not a huge fan of the starter because the main accompaniment to the pigeon was beetroot and I can’t stand the stuff, to me, it’s like eating dirt. The pigeon itself was cooked beautifully and came with a delicious ginger tuile. The main course however, was absolutely stunning. 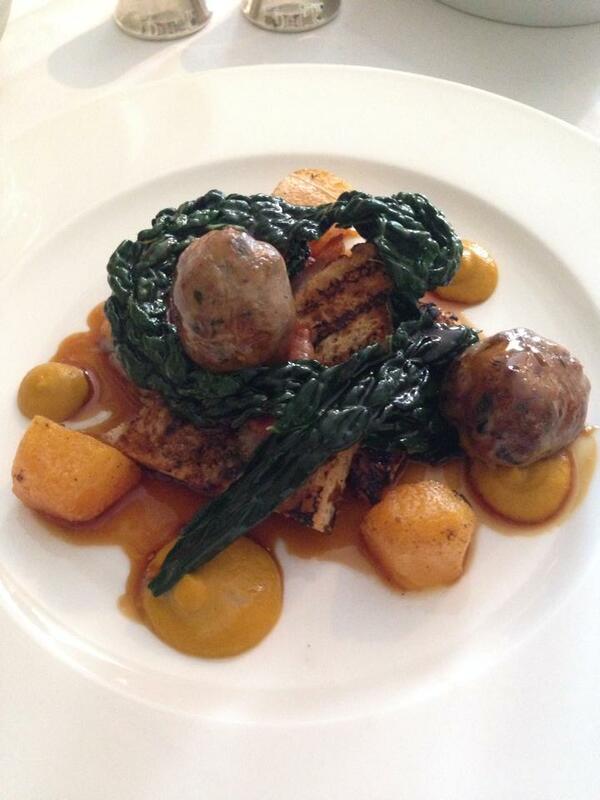 The ‘Peelham Farm’ Pork consisted of pork belly, pork faggots, parma ham, spiced pumpkin, walnut toast, kale and Amontillado jus. Everything went together so beautifully, the slightly sweet pumpkin with the salty pork and fresh kale, and the jus was to die for. I would happily eat that every day for the rest of my life! 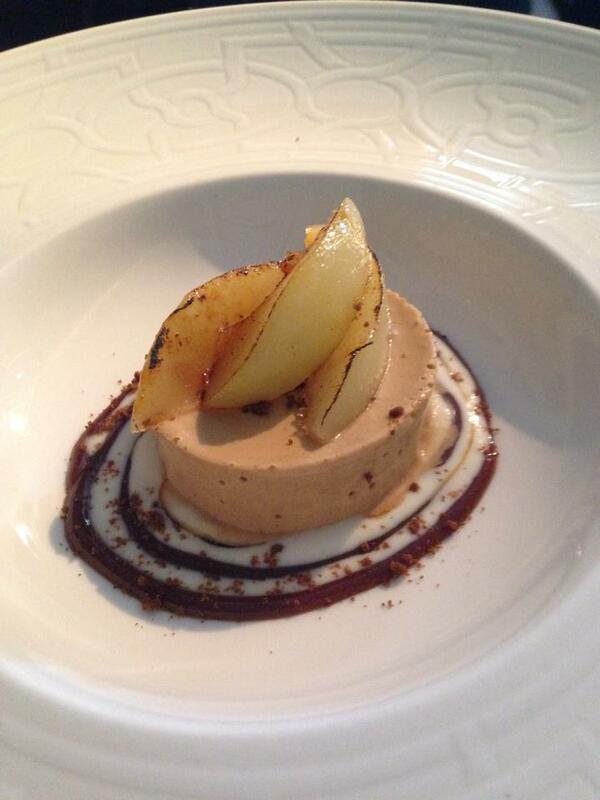 For dessert, I went for the White Chocolate Cheesecake, while my mum chose the Roasted Pear with Muscovado Parfait. My cheesecake came swimming in a sea of green, which at first I found a little unsettling, but on tasting, it had a great, almost Amaretto-ish taste to it and really complimented the sweetness of the cheesecake, which, though delicious, was a little on the gelatinous side for me. 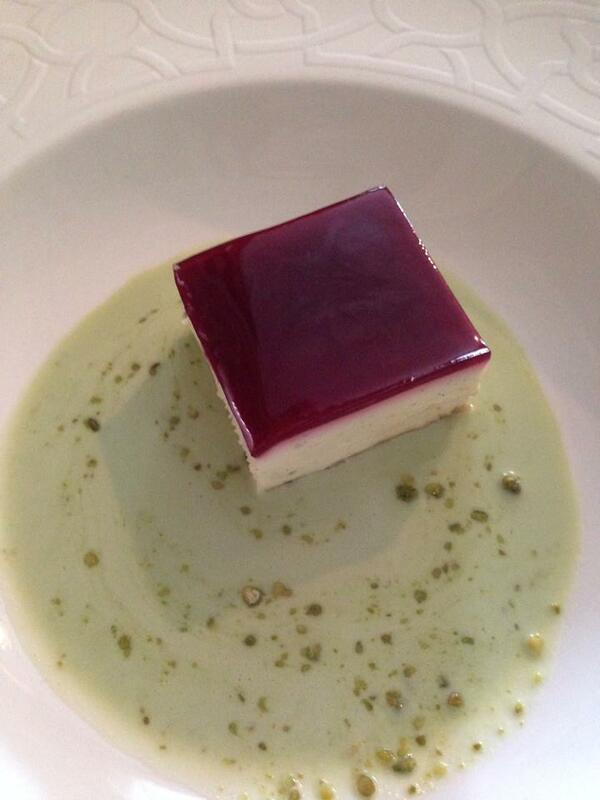 It was more the texture of panna cotta, which I also love, so it wasn’t a huge problem. Besides all that, there were a whole range of events going on – including weekly Gin tastings at Cranachan and Crowdie including the amazing Edinburgh Gin and North Berwick Gin – it seems gin is definitely the spirit of choice these days! 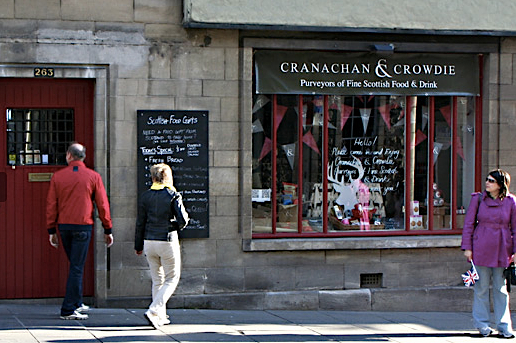 In Canongate alone, where Cranachan and Crowdie is located, there are a number of amazing foodie spots worth checking out. 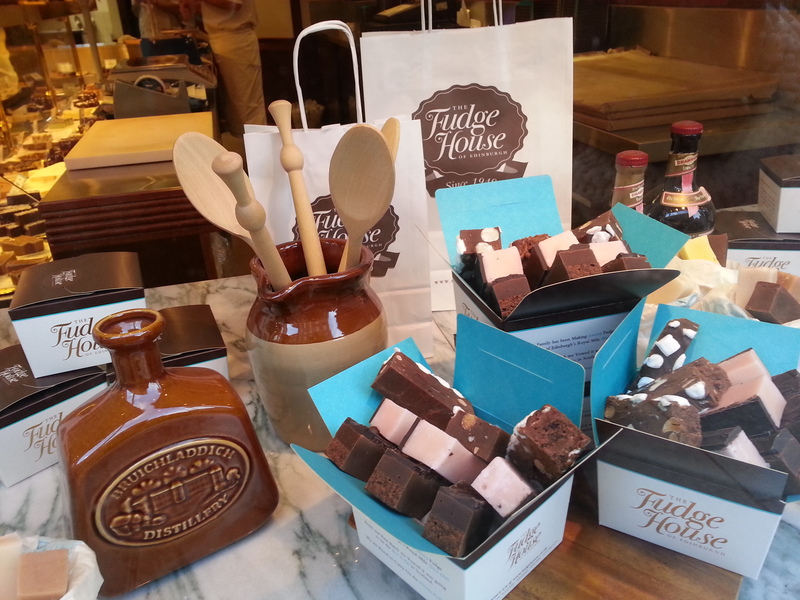 I recently discovered The Fudge House – definitely stop by if you’re in the area. I really hope this becomes an annual festival because it’s a great way to experience all that Edinburgh has to offer and showcases some of the amazing chefs in the city. If it’s on next year, I will definitely be saving up my pennies to get to that chef’s table! 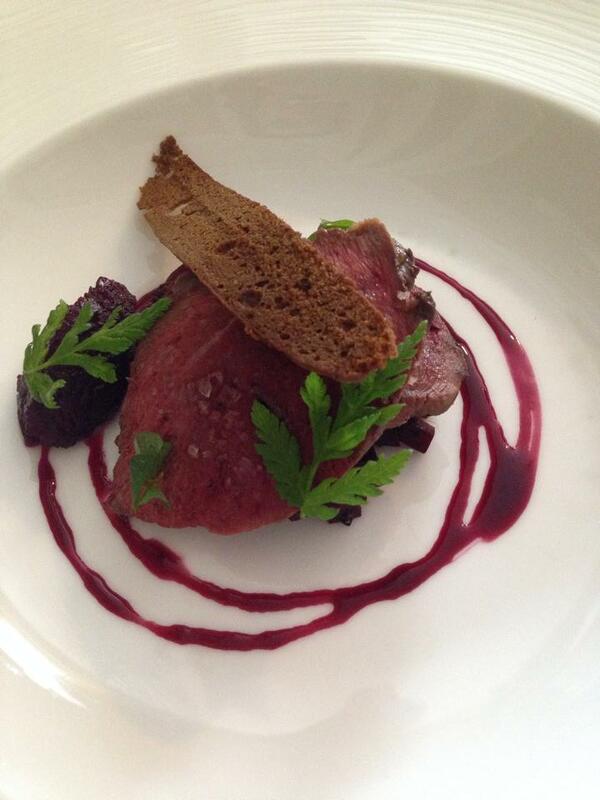 Find out more about the Edinburgh Restaurant Festival here. Remember, you can keep up to date with The Glasgow Diet on Facebook and on twitter @theglasgowdiet.